Sharma Williamson is comprised of professional and fully qualified chartered surveyors supported by a highly skilled administration and secretarial team. 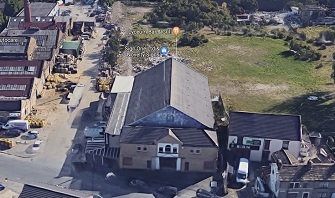 Our surveyors have over 50 years experience in all aspects of commercial property and because we are situated in the heart of Bradford and Keighley, we are ideally located to serve our clients quickly and effectively. Our team is just a phone call away! FOR SALE Rare/valuable function space comprising ground floor smaller venue (250/300 seater), themed bar (potential additional venue) and 1st floor large venue (approx 500 seat capacity). Potential to enhance the business further by adding a Shisha lounge etc. The quoting price includes the property, fixtures and fittings and business goodwill (subject to contract). © Copyright Sharma Williamson. All Rights Reserved.